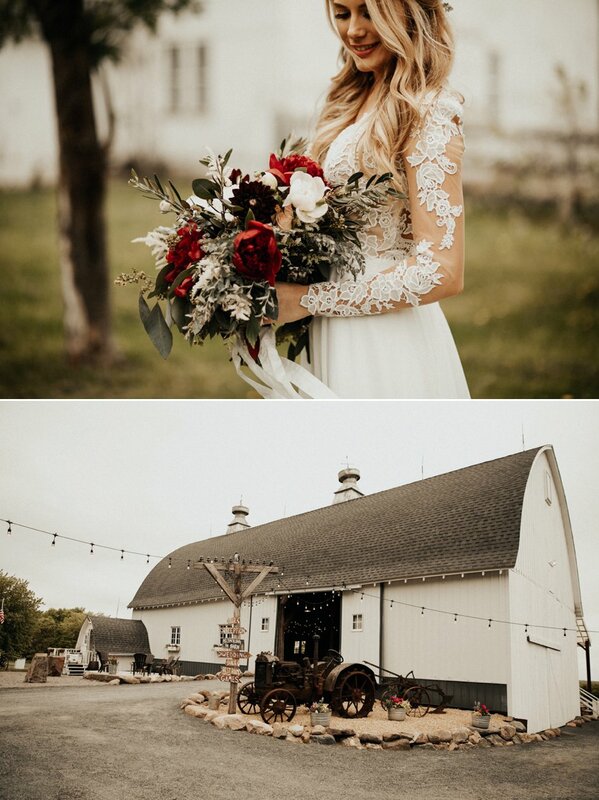 Andrea and Ryan knew they wanted a farm wedding after recently moving to a hobby farm themselves. 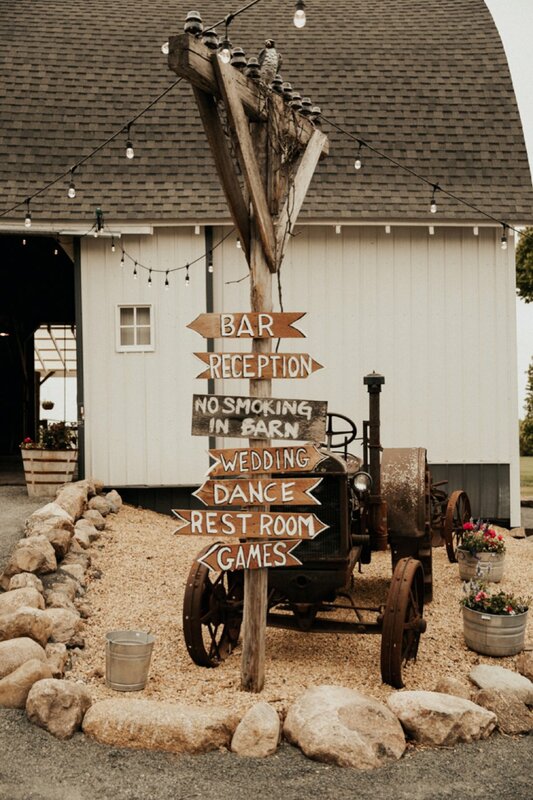 Imagine their surprise when they discovered Maple Ridge Farm right down the road from their new home! 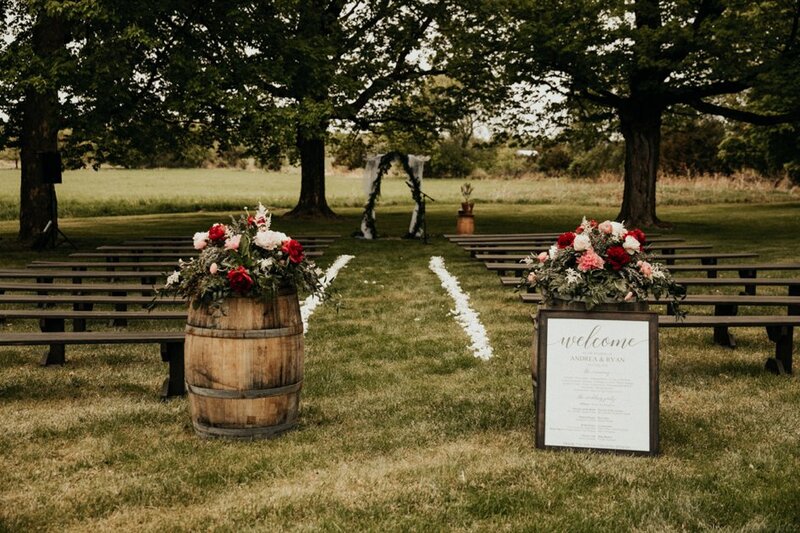 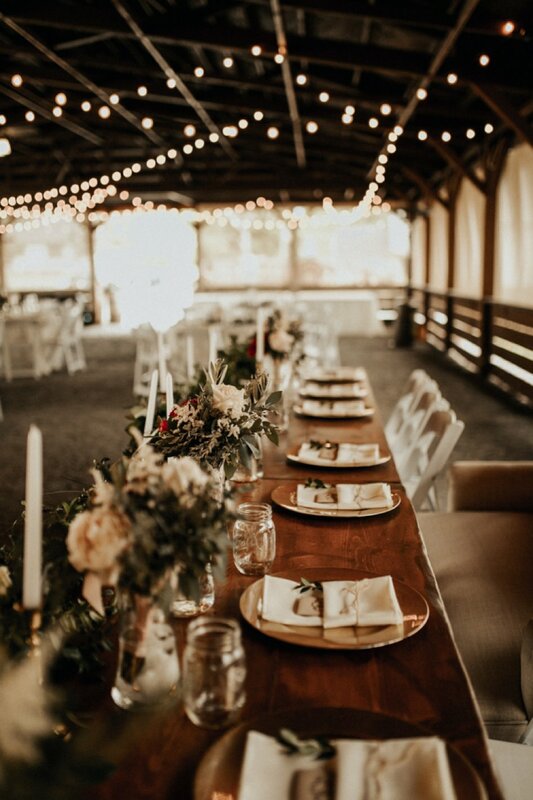 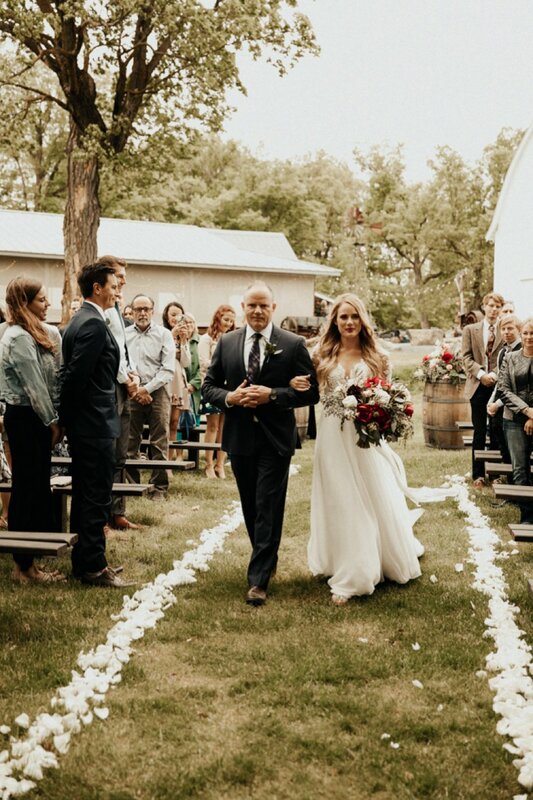 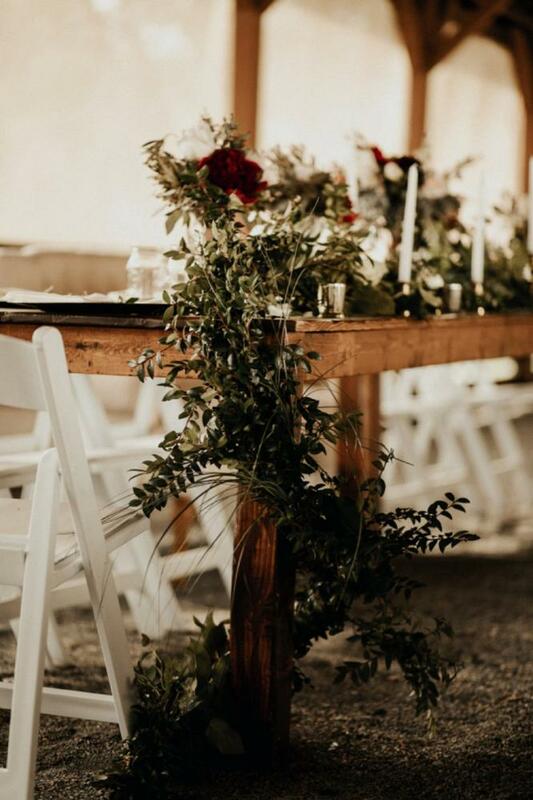 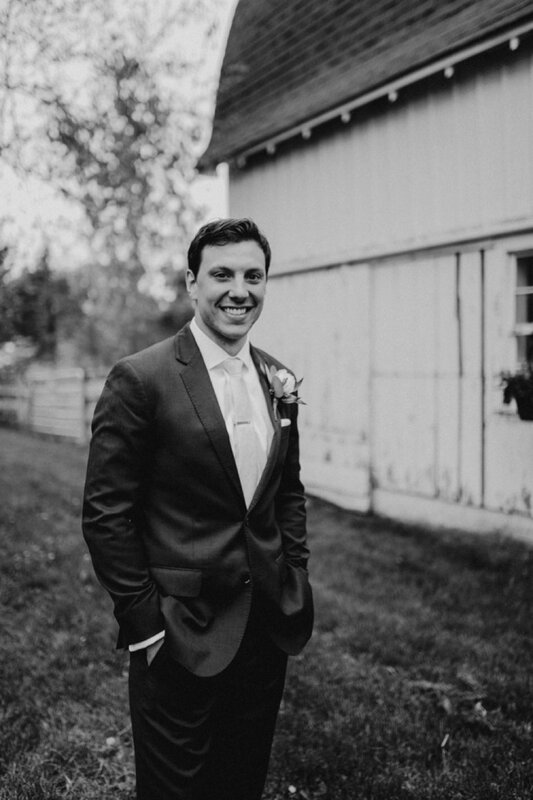 While the day was relaxed and laid-back, the couple didn't want their wedding to feel too rustic so they balanced the raw wood tones with clean lines and fresh whites. 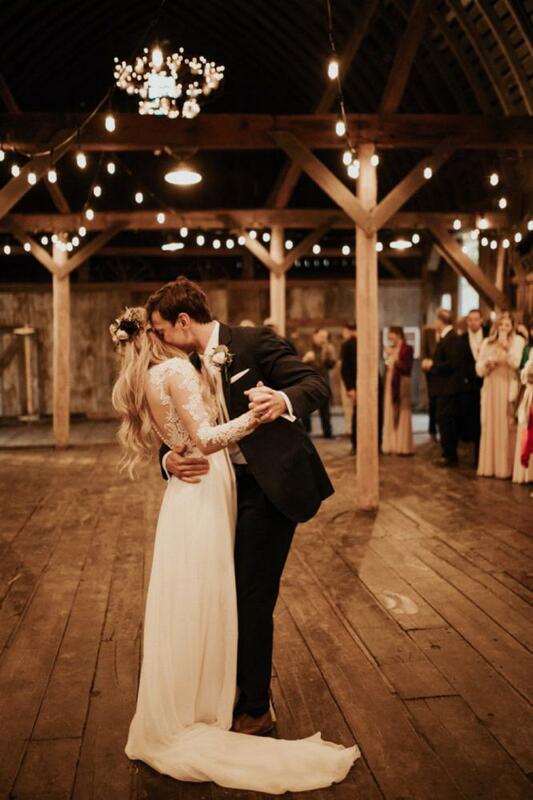 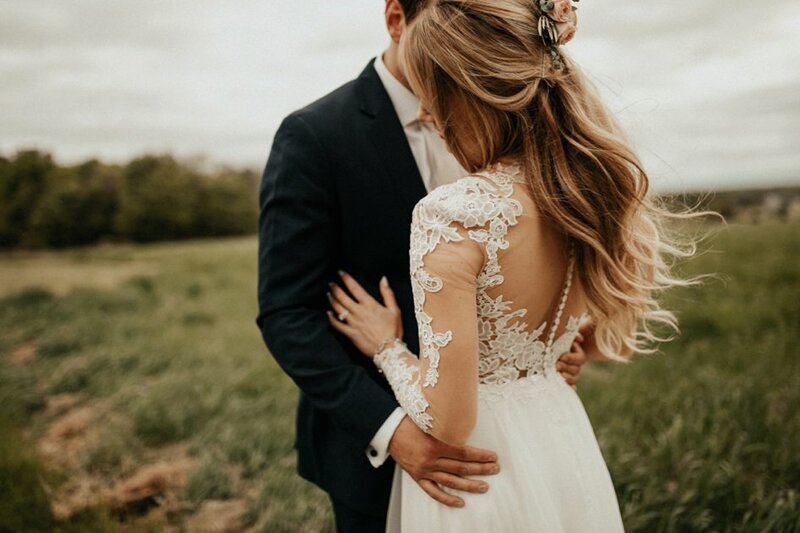 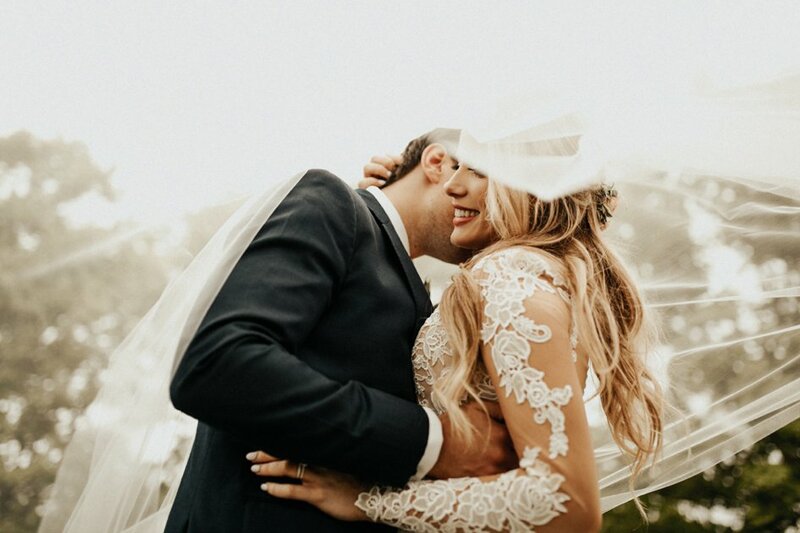 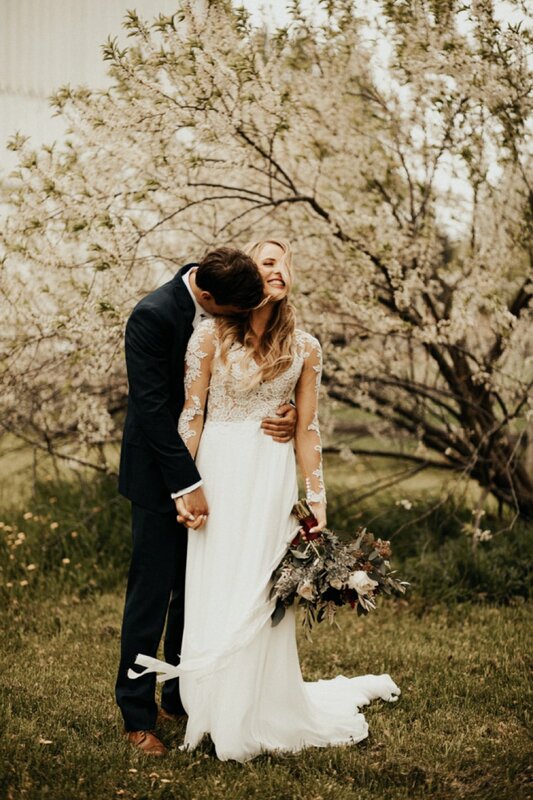 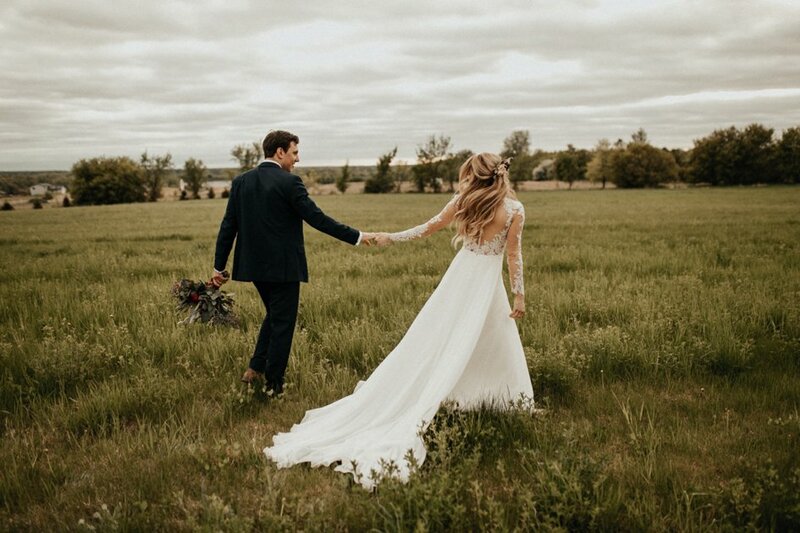 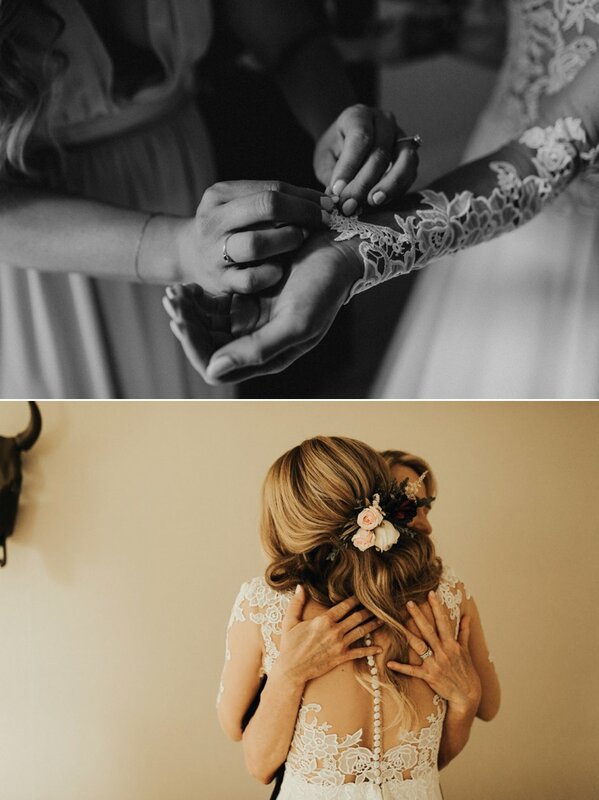 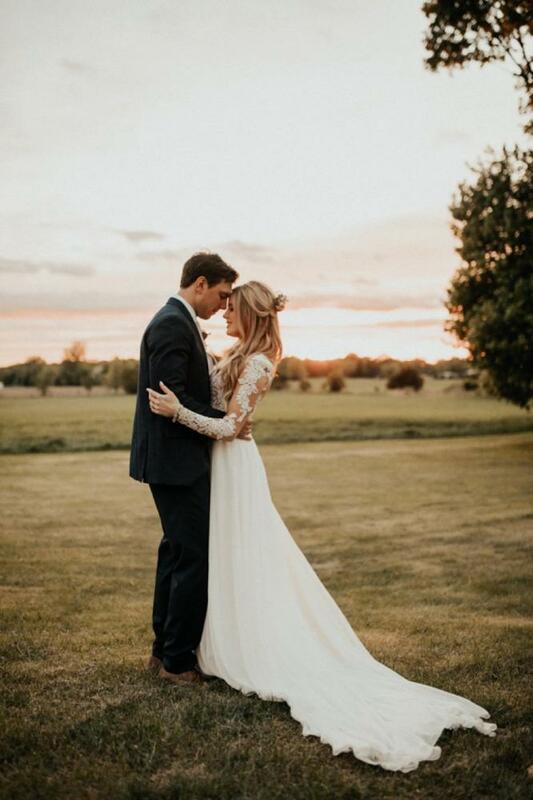 Andrea's long-sleeve dress had a full skirt and train that gave off an ethereal vibe with her long blond hair. 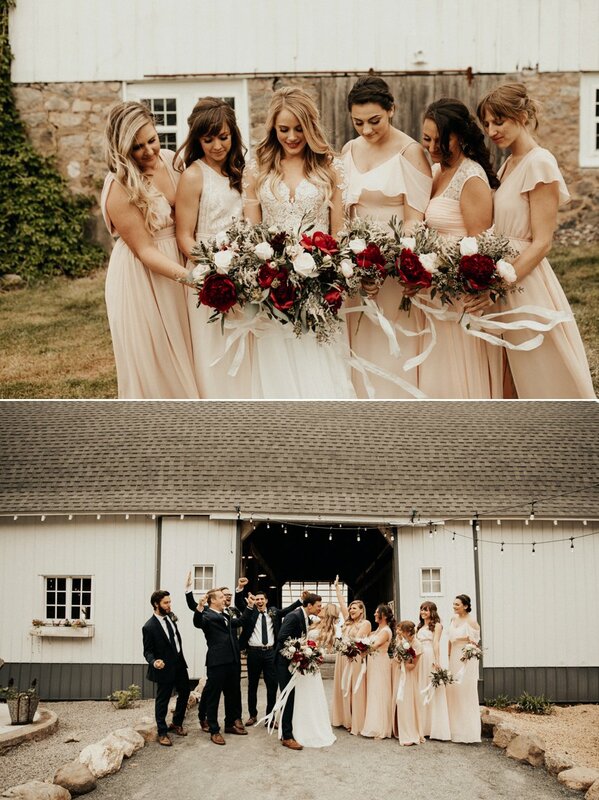 Bright white and red blossoms filled the bouquets which flattered the bridesmaids' pale coral dresses. 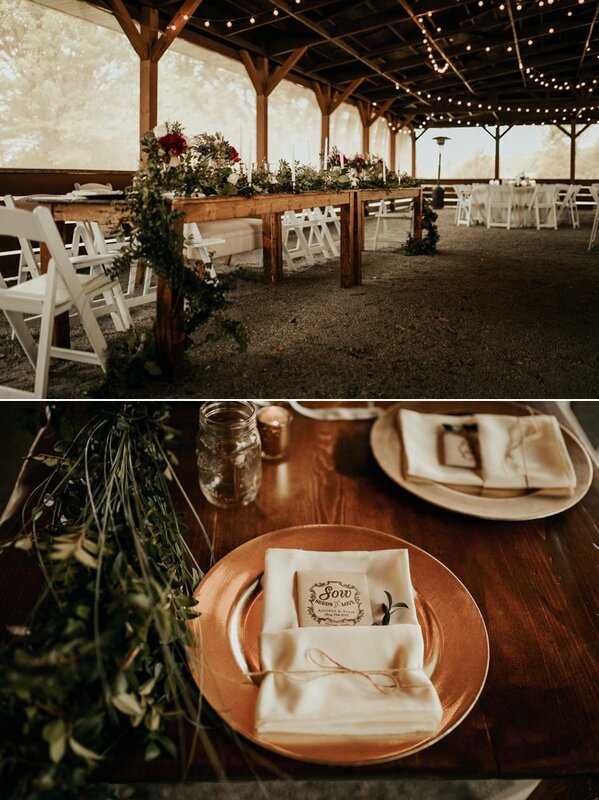 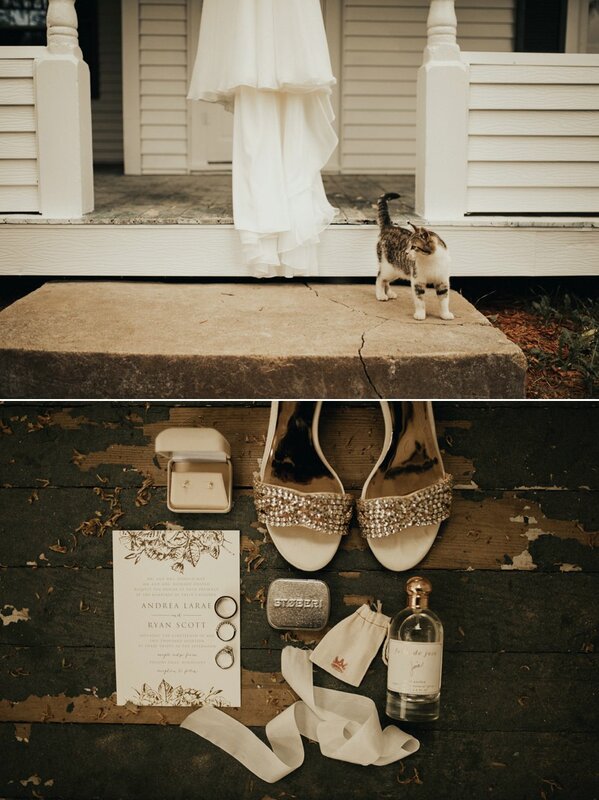 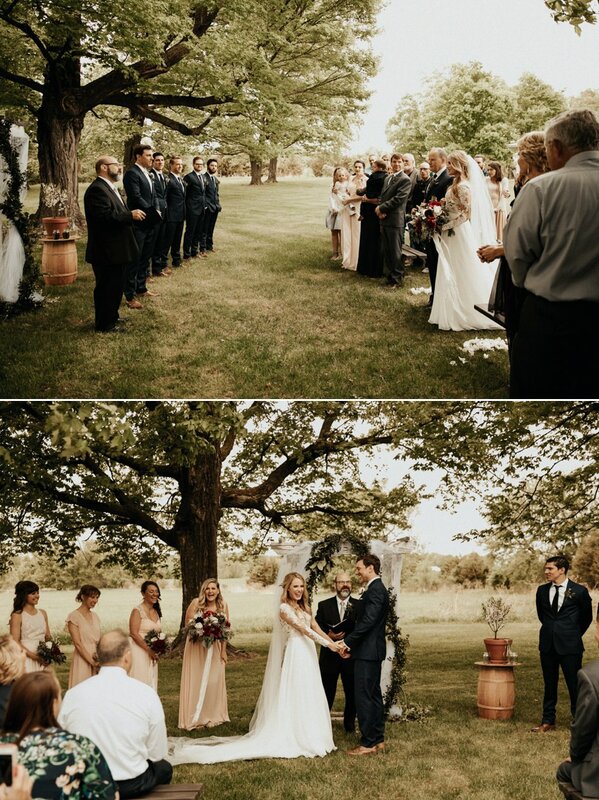 Guests sat on wooden benches for the ceremony before celebrating together in the barn. 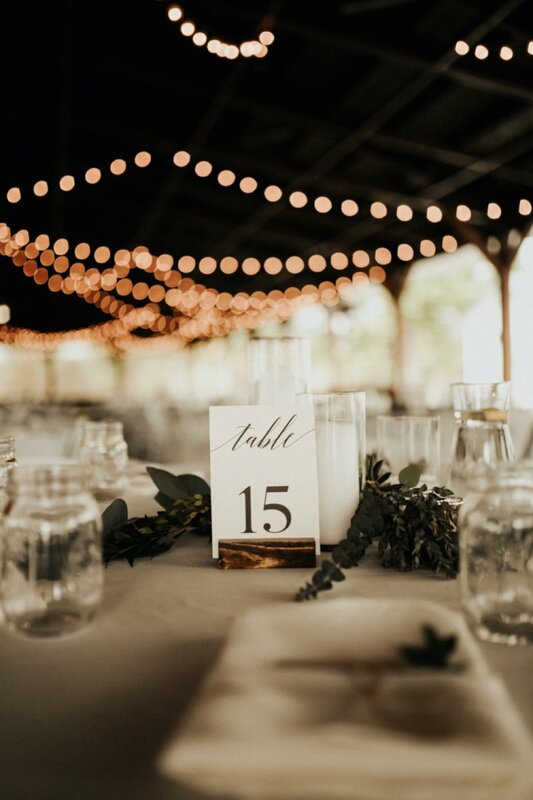 Strung lights and large windows made the venue feel warm and inviting - like an elegant summer porch. 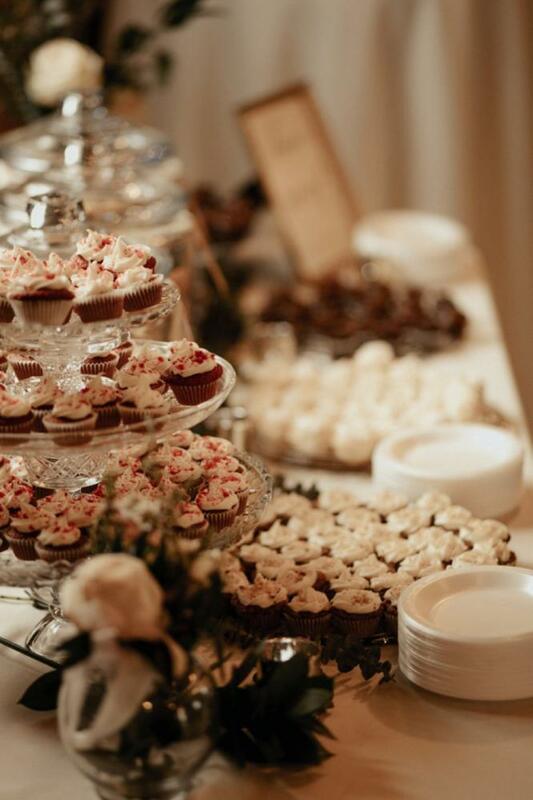 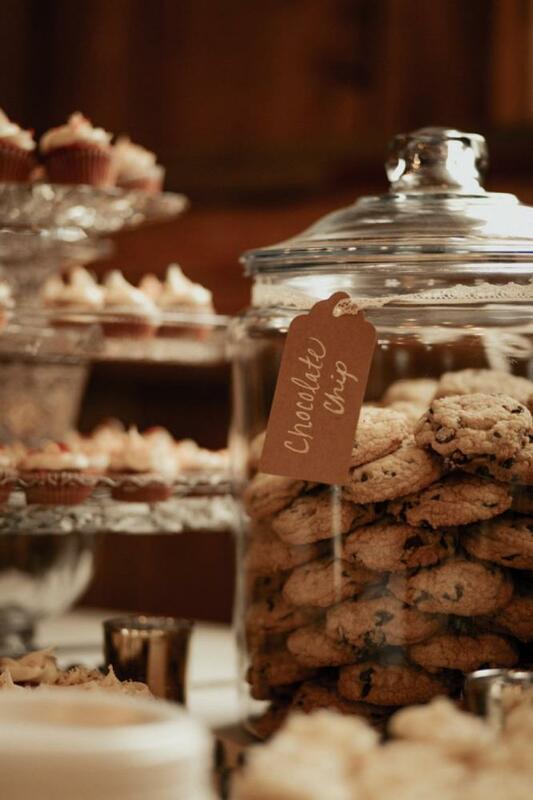 Fresh treats filled the dessert table as the couple had their first dance together amidst the warm glow of candlelight.